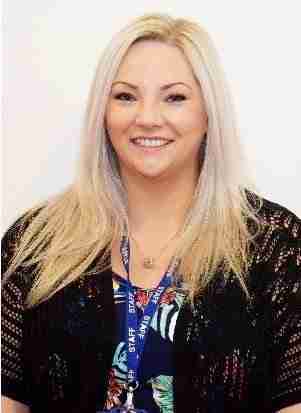 Sarah Morley is a Safeguarding Officer at a Further Education College in East Lancashire. Of many training courses undertaken she believes ASIST with PAPYRUS has had the most positive impact. I completed ASIST (Applied Suicide Intervention Skills) training in January 2015. I’ve undertaken many different safeguarding courses, but the training with PAPYRUS has had the most positive impact on my role and the daily techniques I use during practice. Young people struggling with suicidal thoughts are one of our biggest safeguarding issues. I’ve supported many students, but the training has given me more confidence to ask someone directly if they are having suicidal thoughts. Most of the young people I see are grateful that someone has noticed that they have not been themselves, and relieved to say that they feel suicidal out loud. It’s the beginning of a safe way out of the dark. ASIST taught me the power of silence when listening to a young person talking about their suicidal thoughts – or indeed in any difficult conversation. Asking direct questions, and then being silent and listening to their answer, gives someone the opportunity to think about how they feel, and why they feel that way, in a safe place. It shows them that you’re not just listening, but you’re actually hearing what they have to say. Supporting them to make their own safety plan, instead of following a natural instinct to try and ‘solve’ their problem, is so valuable. Using the skills I developed through the training with PAPYRUS has meant that many young people I work with feel safe enough to make a disclosure, figure out themselves why they might be having suicidal thoughts, think about their reasons to live, and make their own decisions and safety plan to get the right help and support. If I could give any advice to a young person struggling with suicidal thoughts, or someone that is worried about a friend, relative or colleague, it’s to speak up about suicide. Talk about it! Ask for help if you need it, or ask someone about suicide. We’re always on the look out for people to share their stories of ASIST with us. If you’d like to tell us about your experiences of using our training, get in touch with our training team on training@papyrus-uk.org.